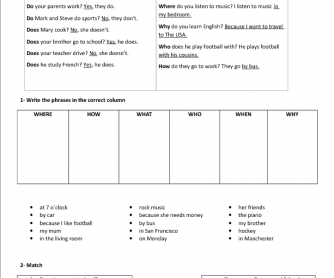 In this worksheet you'll find 5 activities to learn and practice present simple questions. At the beginning there are examples of yes/no questions and wh questions. Then, students identify different pharses and write them in the correct column (what, where, when, etc.) . 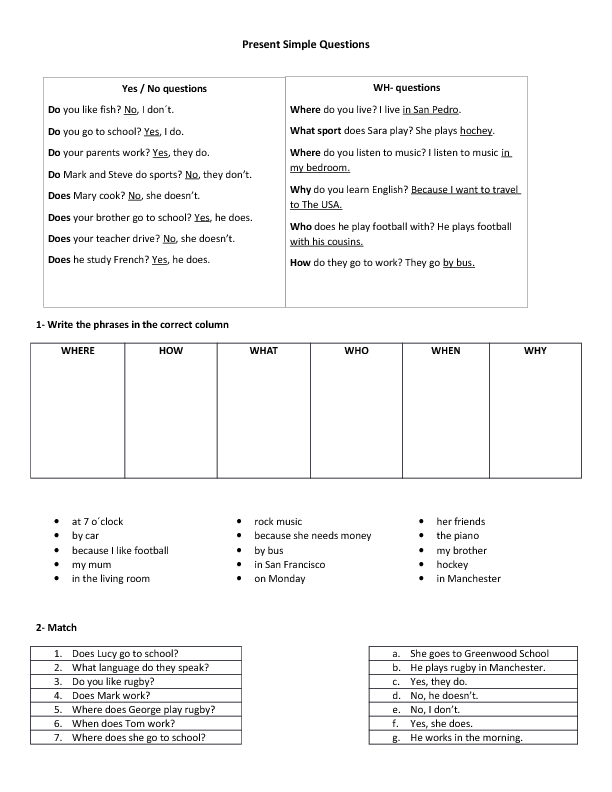 There's also a matching activity and activities for students to ask and answer questions.